Sightseeing around San Carlos is enjoyable. 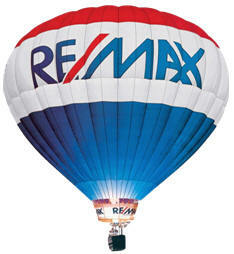 View it from your car or get up close by horseback, ATV, or hiking the beaches, hills, and desert. You can drive along the Scenic Highway from the north end at San Carlos Plaza Hotel to the southwest end at the main highway, Highway 15. 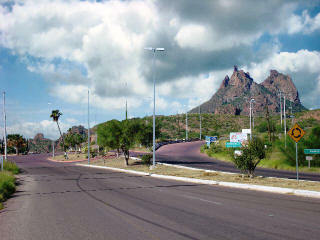 On Highway 15 you can head either north toward Hermosillo or south toward Guaymas and beyond for a great variety of scenery and things to do. About six miles from the Highway 15 turnoff, the Beltrones Boulevard reaches the heart of the business section of San Carlos. This Scenic four lane Highway is lined with palm trees, bougainvillea, and oleanders. The first landmark to greet you is the mountain called variously the Tetas de Cabra, Goats’ Teats, Teta Kawi Mountain, or Tecalai Mountain. The base of the mountain is 2 miles from the center of San Carlos; that is, at the crossroads of the Scenic Highway and Loma del Mar road. Going straight at the main road intersection that splits into a three-way, the road goes directly to the San Carlos Yacht Club and the San Carlos Marina. 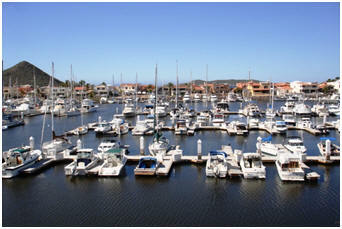 The Marina office is there plus Barracuda Bobs, gift shops and a laundromat to mention a few. Right off the corner of this same intersection is the Catholic Church. 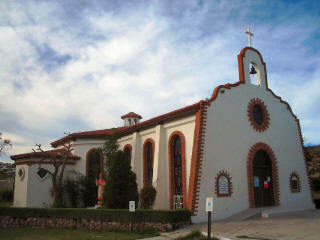 Mass is held every Sunday morning at 11:00 in Spanish and in English, Saturday afternoon at 4:00. It is always opens to visitors. Bazaars and community events are sometimes held on the plaza. Next door is a good taco stand, and a Beer and snack Store (deposito) where locals hang out on Sundays, and weekend partiers stock up. No alcohol is sold on Sunday afternoon or evening. When turning left at the same three-way intersection you will come to Marina Terra Hotel and Condominiums situated right on the embarcadero of the San Carlos Marina. Stroll the malecon, enjoy the small shops and restaurants, sit at the outdoor tables, have a drink at Ruby’s wine bar, gaze at the beautiful boats in the marina, and watch the sun set. Continuing past Marina Terra you will reach the Frutería grocery store. If you turn right at the Frutería, the road takes you up the hill to the Caracol, a hilltop community. Turn left and go along the flower lined brick walkway, and you will reach the Beach Club. This is a real show place. Don’t miss it. The swimming pool and facilities at El Club is owned by Marina Terra Hotel, but, in accordance with Mexican law, the beach itself is open to the public. The beach opens onto a protected cove with a rocky point extending into shallow water on the north end. This cove is called Shangri-La or even, Pirates’ Cove. 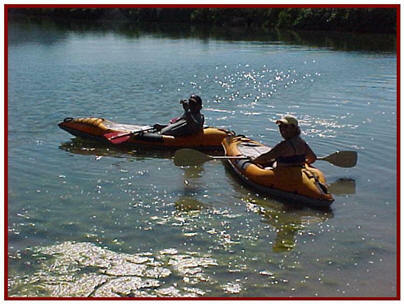 There is very good snorkeling in this area, and a good place for kayaking. Turning right at the three-way intersection you will be heading north on the main road of San Carlos, Sonora Highway 124 (also called the Scenic Highway or Beltrones Highway ), this will take you past hotels, gated housing developments, coves, and beaches to the Algodones beach . 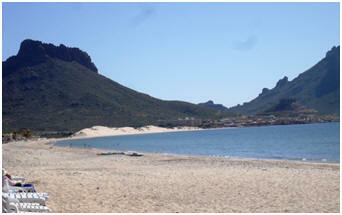 The paved road ends at Paradise Resort, and a dirt road continues on to La Manga, a Mexican fishing camp. On the drive to Algodones Beach (Playa Algodones) you will see some very pleasant beaches, sand dunes, and coves, tourist resorts, and new housing developments. There are several housing developments along the Algodones Beach including Vista Real, Algodones Residential, Villas California, Costa Mar del Mar and Puesta del Sol, all with pristine beaches and a stunning view of the Sea of Cortez. These are visible from every part of San Carlos. 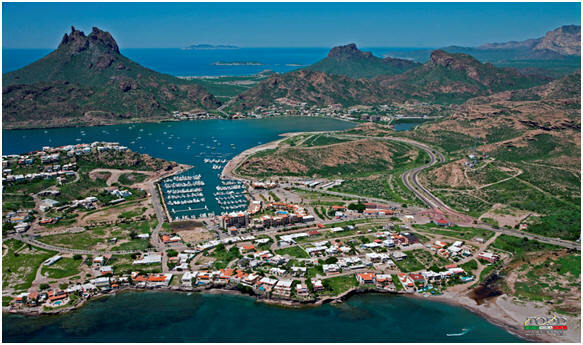 Climb to the peak for a glorious 360° view of the Sea of Cortez. Catch a glimpse of native mammals. See beautiful stands of cacti and yucca plants. An informally organized group of women have an annual event, climbing to the peak. This takes place in February and is advertised on bulletin boards around town. Just before you reach the Mirador Escénico, you will pass this pretty little cove. It is a favorite seascape view for local artists. Some of the best tide pools are at Playa Piedras Pintas. You can reach this by a footpath before you get to the Mirador, or by car from the road to the Mirador. After you turn in, drive two miles to the left to reach the nicest part of the beach. No overnight camping. This is a must see. It is situated on a point overlooking the sea. It is open from 8 AM to 8 PM. On the left side of the approach to the Mirador Escénico is a little dirt road that goes to Piedras Pintas Beach , and on the right side as you approach the Mirador, you can see the Marina Real , El Mirador RV Park and Restaurant-Bar, and Bahia Esmeralda (Emerald Bay ) , a brand new luxury housing development. Marina Real has a large number of boat slips and a condo. A walkway goes past the marina for a pleasant stroll along a row of beautiful homes, some owned by Mexican movie stars and playboys. The beach here is a popular place for jet skiing and wind surfing. Beautiful yachts and sailboats create a pretty view. This great white sandy (but not unspoiled) beach and sand dune area extends a few miles on both sides of San Carlos Plaza Hotel and runs for several miles up to Paradiso Resort . This is the primary public beach of San Carlos. One section of Algodones Beach is called the Catch 22 Beach because the movie was filmed there in the winter of 1969-1970. 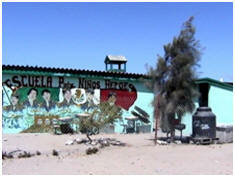 The Algodones Beach gets a lot of use and there are not enough trashcans to serve the area. Nevertheless, the natural beauty and serenity of the area wins out. It is still the favorite party and picnic beach of many visitors. Overnight camping is allowed at the far end of the beach road. Where the paved highway ends, about 2 miles beyond the old Paradiso Resort, there is a nice little Mexican fishing camp where you can usually buy fresh fish and clams. There are many children in this village, and although there is no government school for them, volunteers help pay for teachers and equipment for a little preschool and elementary school. I believe this is one of the projects of the Lions Club. Sight Seeing at the other end of San Carlos, going toward Highway 15 offers the visitor with some interesting views, beginning at San Francisco Beach . This beach covers a long stretch of ocean front on the right hand side of the main road as you are leaving San Carlos near the Pilar Condominios and the Delfin condo development. 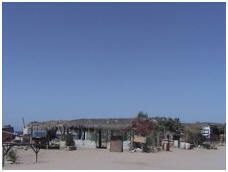 The beach can be approached on any of the dirt roads, but the easiest way in is on the paved road to the Condos. 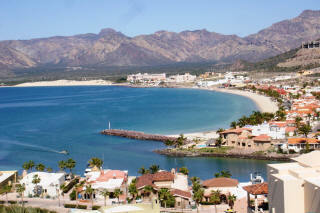 (Pilar and Delfin Condos has the best beach location of any of the hotels/condos in San Carlos). San Francisco Beach, a famous shell beach, is a long, wide sandy beach which is pretty and comfortable enough to spend the day there. The Estuario del Soldado (Estuary of Soldiers), adjacent to Bahia Delfin Condominiums , is a 350-acre coastal lagoon surrounded by mangroves, which runs parallel to the beach, some 100 yards away. It is the largest of several estuaries in San Carlos. One part of the estuary can be reached by taking the paved road to Condominios Pilar and Delfin . In the estuary, there are as many as 80 species of birds, including some that live there permanently. You will see egrets wading in shallow water, and grebes, seagulls and pelicans diving for food. Frigate birds swoop high in the sky over the ocean. Migratory birds, scarce during the hot summer, are more commonly seen in fall and winter. White pelicans are seen more often now than in years past, but brown pelicans are becoming scarce. El Niño, in recent years, has disrupted the food sources of the brown pelicans. Osprey, which also live in this area, have almost disappeared, probably for the same reason. When you are on the road to Pilar, look at the highest telephone poles and you may spot a scraggly osprey nest. On the road through EJ Buenos Aires Ejido, (native lands) you will see a lot of birds in the brush including: the common raven, Gambrel’s quail, Douglas quail, palma huilota (pigeons); black headed sparrows, crows and cardinals. Along these back roads, on the ground, under shrubs and among the cholla cacti; the greater roadrunner likes to hunt lizards and snakes. Cactus wrens live in and around cacti. You may see American kestrels, owls, turkey vultures, and hawks perched on tall cacti or the tops of trees scanning the desert for prey. On the other side of the estuary, you can wade through the water to observe the tide pools. You can see interesting marine life, birds, and shells. If the tide is rising, be careful not to be caught in the rush of water at the mouth of the estuary. 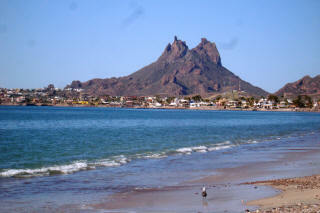 This is a convenient picnic spot for Mexicans from Guaymas, and is used so heavily a lot of trash accumulates. A volunteer group called Naturabampo is attempting to clean up the area on both sides of the estuary. Their signs remind people not to disturb the ecology, not to pick up shells or leave litter. Naturabampo volunteers work with the federal, state, and local government dedicated to preserving the estuary, enhancing the surrounding area, and educating people about the ecology. They can be contacted through the college of ITESM. Bird watchers and photographers can find birds in several different habitats in San Carlos, on the water and on land. The most common water birds of the ocean and estuary in this area are: brown pelicans. white pelicans, grey herons, seagulls, egrets, ducks, frigate birds and cormorants. Land birds make their home in three types of habitat: fields, deserts, and mountains. At the marina or near the shore, wherever small fish run in schools, you can see grebes ducking in and out of the water, ducks, and several types of gulls. The Heeman’s gull stands out from the common gull because of their sporty black feet and orange beaks. Terns, osprey, frigate birds, and cormorants fly overhead, and sand pipers run along the sandy beaches. The many estuaries meandering in, out and around the beaches of San Carlos and Miramar are interesting sites for bird watching and tide pool exploration. The most common birds on the beaches are the pelicans, gulls, and sandpipers. The San Carlos branch of The Audubon Society holds the traditional Christmas bird count and has developed an impressive list of birds sighted in San Carlos. For a wonderful, informative, ecological tour by boat enquire about Donna´s boat tour at Gary´s Dive Shop (Donna is Gary´s wife) She gives a wonderful tour of osprey nests on the islands around San Carlos. The tour also includes checking out other habitats of local water birds, seeking out the dolphins, and investigating the playful seals in the bay. Living in the rural areas of Ranchitos and Ejido Buenos Aires are the common raven, gambrel's quail, Douglas quail, mockingbirds, cardinals, paloma huilota, black headed sparrows, cowbirds, and crows. Greater road runners scurry between the clumps of cactus, and quail, followed by their young, promenade under the shade of desert scrub brush and low hanging trees. Cardinals rush by in a flash of brilliant scarlet. Cactus wrens live in and around cactus, and perched on top of tall cactus you may see American kestrels, owls, turkey vultures, and red-tailed hawks, or possibly an osprey. Hummingbirds, woodpeckers, and hooded orioles are attracted to the flowering trees and shrubs around people’s houses, and the hoo hoo of the doves is heard everywhere in the early morning air. Birds can best be seen at dawn and at dusk.